No Computer or Serial Cable Required; Just Plug It in and You’re Ready to Measure. 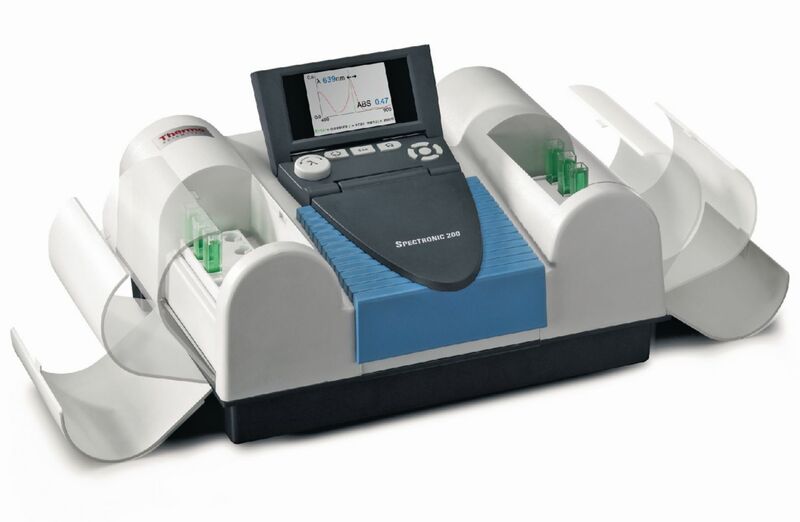 Thermo Scientific™ SPECTRONIC 200™ is the new standard for rugged, simple-to-use visible spectrophotometers for teaching and routine applications. The new SPECTRONIC 200 spectrophotometer couples the simplicity and reliability of the Thermo Scientific™ SPECTRONIC 20 and the Thermo Scientific ™ GENESYSTM 20 instruments with 21st century technology and a bold new design that promises years of trouble-free performance. On-board software, controlled from an intuitive navigation pad using a full color screen, delivers capabilities beyond expectations.